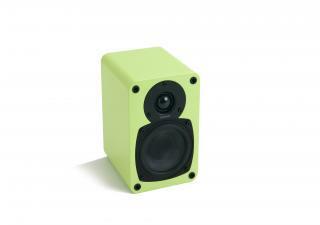 Tangent EVO E4 are a trendy colourful mini HiFi loudspeaker that will fit any room and interior décor in your home. The Tangent EVO E4 are standard equipped with a flush mount wall bracket and accessory mounting brackets allow each Tangent EVO to be angle mounted from your ceiling walls or elegantly displayed on speaker stands. The EVO E4 are available in red, black, yellow, lime green and white high gloss.